If you enjoy camping but want that extra bit of comfort then this Pathfinder could be the one for you. 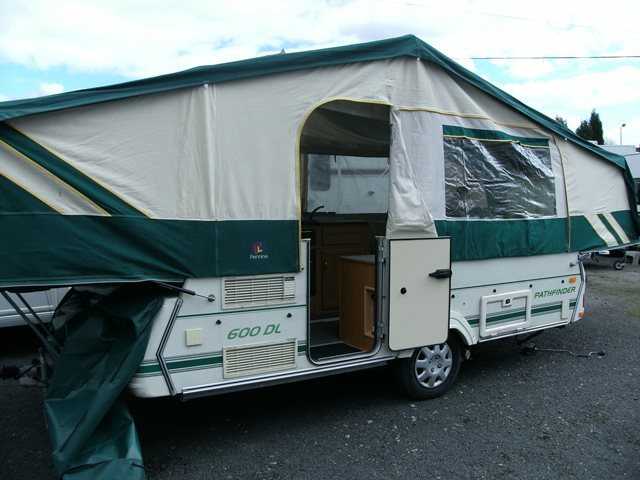 The 600 TC is a spacious six berth folding camper from Pennine and features a double bed at each end, a central seating area that converts to a third double, full kitchen facilities and a cassette toilet and sink. Add to that a fitted motor mover, external gas and mains points, AL-KO 1300 stabiliser and a full awning and you get an excellent piece of kit. The Pathfinder models don't hang around for long so take advantage while you can! For any further information please contact a member of the sales team on 01384 636465.